Since I last posted, I’ve done so many things like pass my thesis, prepare a conference, and uproot my life from Australia. It’s a bit crazy but all is well and good! Throughout the month, I’ll be giving some talks about my research. This presentation on youth media citizenship is somewhat related to my thesis where I examine young readers’ agency in transforming media. Glocal BL dōjinshi questions the transcultural impact of BL dōjinshi culture in these three countries and the transnational tensions they locally face. It’s been crazy but I’m quite excited to share these things I learned. If you are in the area, do come and listen not just to mine but to other talks too! 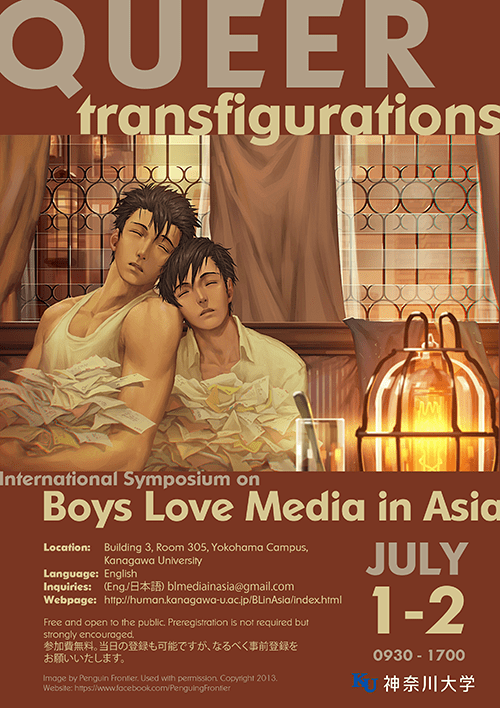 The BL in Asia conference at Yokohama’s for free, just don’t forget to pre-register. It’s been a crazy half-year and this month is the craziest yet. I can’t wait for it to wind down. ; w; I doubt it will.